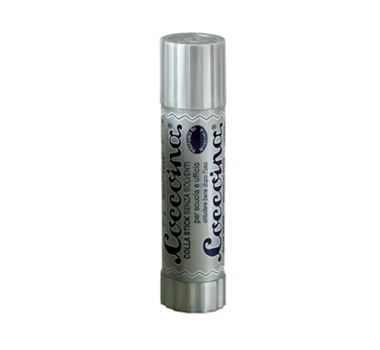 The Coccoina Non-Toxic Glue Stick is safe for the environment, and your kids! It is free of solvents & petroleum, and easily washes off with water. It is extremely easy to use, and made of a environmentally friendly polyvinylpyrrolidone formula. It also has a wonderful almond fragrance that smells like Italian Marzipan! The Coccoina Non-Toxic Glue Stick would be perfect for eco-conscious kids, teens, parents, offices, or anyone into making eco-friendly crafts! Stick with your goal of using environmentally friendly products!